Long before collaborative-health centres became a trend, the model was thriving in Halifax’s north end. The idea started in 1971 and has since evolved into a community hub. The facility is governed by a board, and the health-care workers don’t have to deal with administrative duties. Because it’s a multi-functional health centre, it receives funding from the Nova Scotia Health Authority and charitable donations. 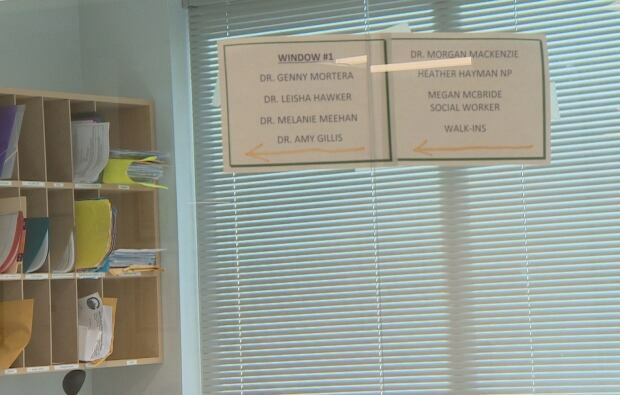 The clinic at the centre, which has a goal of seeing 6,750 patients a year, doesn’t depend solely on the seven family doctors who work there part time. The team includes nurses, a social worker and a nutritionist. Their mandate isn’t just to treat patients, but to educate and advocate for their needs. “To me it’s the best health-care model,” Houstoun said. 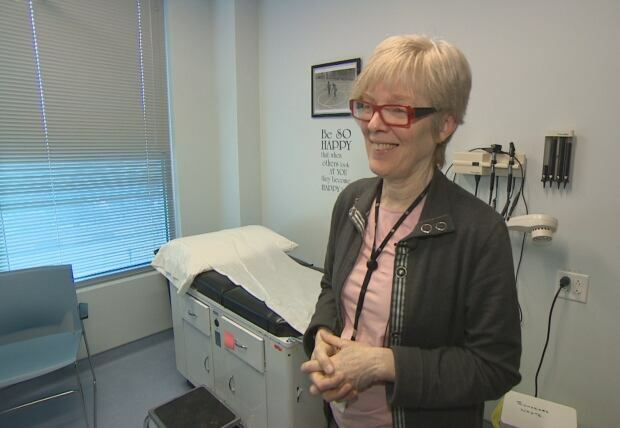 The clinic is one of the success stories CBC Nova Scotia is examining as part of an in-depth look this month at the province’s doctor shortage. Instead of being compensated through fee-for-service, physicians on staff are paid a salary, which encourages them to take the time that’s needed with each patient. When Nova Scotia started training nurse practitioners, the North End Community Health Centre added two part-time positions to their roster. Marilyn Rutherford, who was in the second graduating class, started 13 years ago. “It’s actually my dream job,” she said. Rutherford’s scope of work includes ordering X-rays, ultrasounds and prescribing medication. Rutherford’s work isn’t just limited to the building. One day a week, her job is outreach. With the help physicians, she compiles a list of patients who have difficulty leaving their homes and does wellness checks. While the province deals with its doctor shortage, Rutherford thinks more nurse practitioners could help. The staff at the clinic work under the philosophy that there is no hierarchy among the team. The health-care workers have regular meetings to discuss cases. They share notes and files. A doctor, for instance, might be focused on a patient’s high blood pressure and have “no clue as to what the problem was.” But a nurse might know more about the patient’s extended family and the stresses in their life. “It gives us a much broader source of information to understand our actual patient population,” said Houstoun. After thriving for decades, she said it’s clear that their collaboration is one that works.